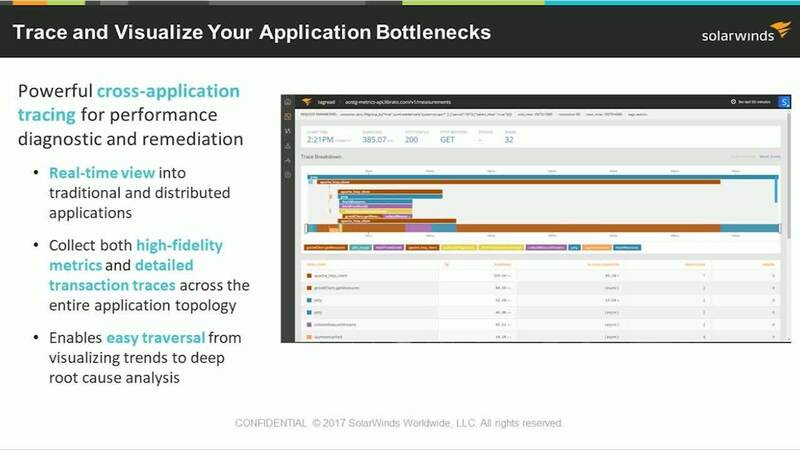 - Ability to trace and visualize application bottlenecks – Enables easy traversal from visualizing trends to deep, code-level root cause analysis. - Broad application performance monitoring (APM) language support with auto instrumentation – No manual instrumentation or configuration is required to get distributed tracing and detailed metrics. - Simple and easy-to-use infrastructure monitoring – In addition to numerous built-in integrations, customers can extend the solution or leverage integrations that the agent’s large open community already offers today. - Converged dashboards, alerting, and management for APM and infrastructure monitoring – Streamlines troubleshooting efforts and drastically decreases time to resolution. Join Dir of Product Management, Michael Yang, Product Advocate, Adam Hert, and Dir. of Product Marketing Jerry Schwartz as they discuss the APM landscape and demo the new product.